This may be a “new” exhibit, but clearly it is an important one! Not all items in a museum are old and here is one that is brand new. 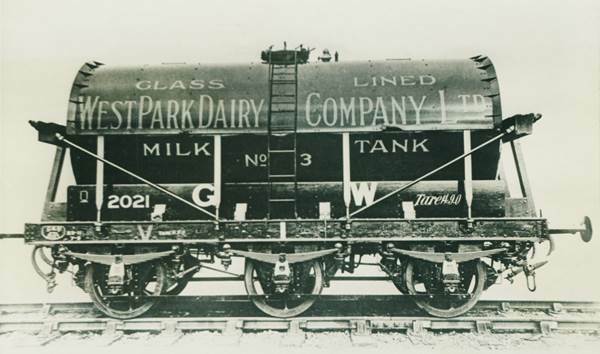 Back in the 1930s West Park Dairy, based at West Park Farm in Market Lavington had six milk tanker wagons which ran milk from Wiltshire up to London on the Great Western Railway. We have featured a photo of one such wagon in the past. You can click here to read that page but as a reminder, here’s the same photo again. 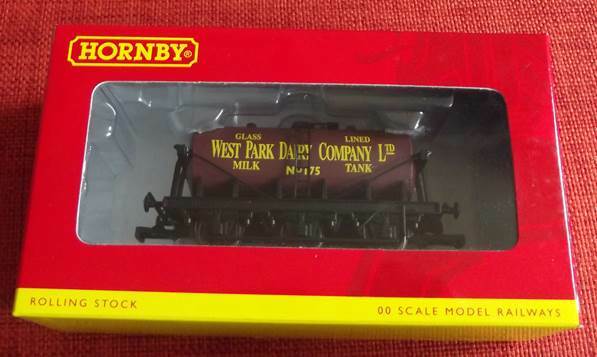 Recently, Hornby produced an OO gauge version of this tank wagon – we’d like to think our blog was in part responsible for this model hitting the market. We have just been given one of the models.